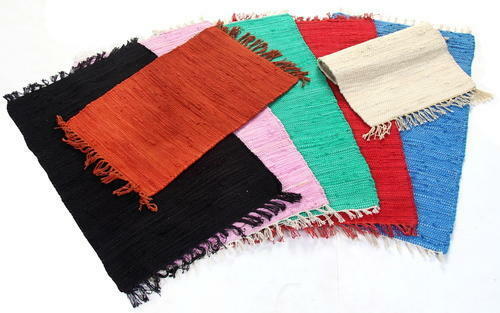 Cotton chindi rag rug are made out of cotton knitted rags. 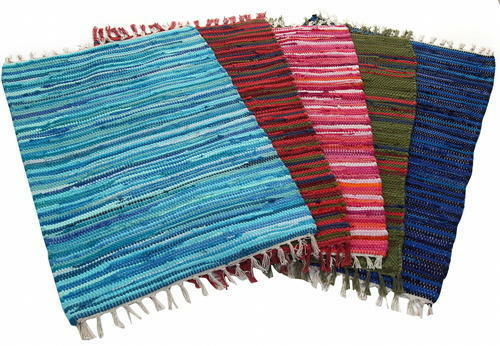 They are hand-woven in India by village artisans. The hand loom process means that each rug will have a slight variation giving it charm and character. All finished products are subject to total quality control to ensure integrity and longevity. These are all unique, one-of-a-kind, hand made rugs. They are made from hundreds and even thousands of pieces of fine cotton hosiery chindi long cuttings.we r making different patterns in chindi rugs like paddle weave,stripes,boxes, cut pile,plain, different color,different sizes,colors, this is cheapest rug available in India. we can make any design as per your requirement. 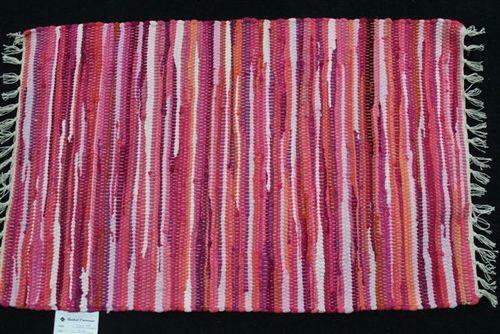 Cotton chindi rag rug are made out of cotton knitted rags. They are hand-woven in india by village artisans. The hand loom process means that each rug will have a slight variation giving it charm and character. All finished products are subject to total quality control to ensure integrity and longevity. These are all unique, one-of-a-kind, hand made rugs. They are made from hundreds and even thousands of pieces of fine cotton hosiery chindi long cuttings.we r makinf diffrent patterns in chindi rugs like paddle weave,stripes,boxes, cutpile,plain, diffrent colour,diffrent sizes,colours, this is cheapest rug available in india. 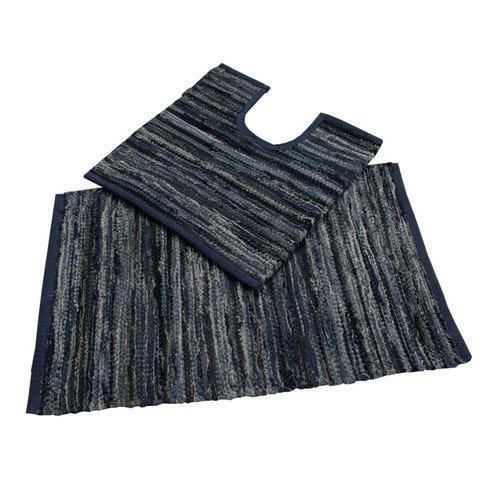 Cotton denim rag rug are made out of cotton knitted rags. They are hand-woven in india by village artisans. The hand loom process means that each rug will have a slight variation giving it charm and character. All finished products are subject to total quality control to ensure integrity and longevity. These are all unique, one-of-a-kind, hand made rugs. They are made from hundreds and even thousands of pieces of fine cotton hosiery chindi long cuttings and from used denim jeans..we r makinf diffrent patterns in chindi rugs like paddle weave,stripes,boxes, cutpile,plain, diffrent colour,diffrent sizes,colours, this is cheapest rug available in india. 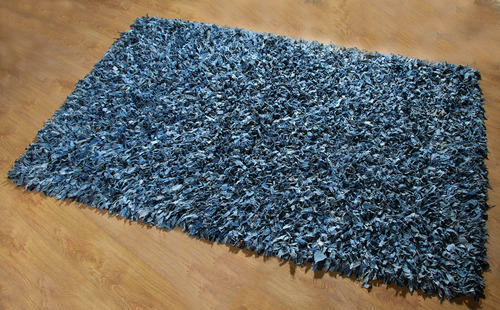 Cotton denim chindi shaggy rag rug are made out of cotton knitted rags. They are hand-woven in india by village artisans. The hand loom process means that each rug will have a slight variation giving it charm and character. All finished products are subject to total quality control to ensure integrity and longevity. These are all unique, one-of-a-kind, hand made rugs. They are made from hundreds and even thousands of pieces of fine cotton hosiery chindi long cuttings.we r making drom used denim rugs.we r makinf diffrent patterns in chindi rugs like paddle weave,stripes,boxes, cutpile,plain, diffrent colour,diffrent sizes,colours, this is cheapest rug available in india. Our Eco-Friendly Paper chindi Rugs are made from recycled paper, with a natural latex and cotton backing. 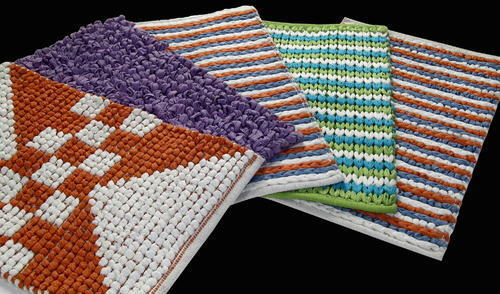 Not just rugs with sustainable materials, they are also soft rugs for your feet.they r hand woven. made in india. we can make any any size,colour any pattern like loop cut, all loop, all cut, paddle weave. Our Paper Shag Rugs are a great choice in sustainability and natural materials, and work well in any room with strong colors and soft comfort. Durable backing made of cotton. 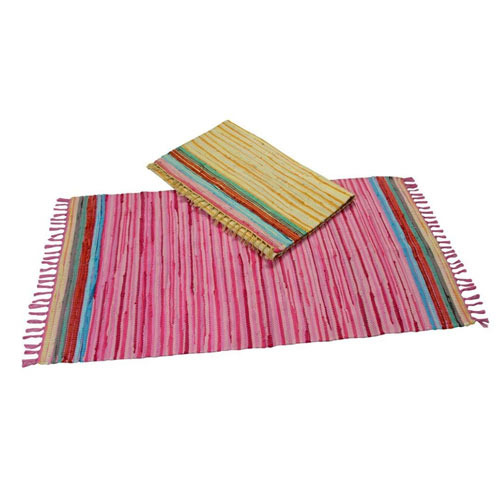 Looking for “Chindi Rag Rug”?